I do hope you had a happy and safe Diwali, dear readers. I also hope you weren’t some of the silly few that burst crackers and caused noise and sound pollution. Well, welcome back to a short epistle this month that will tell you about something that has been years in the making. 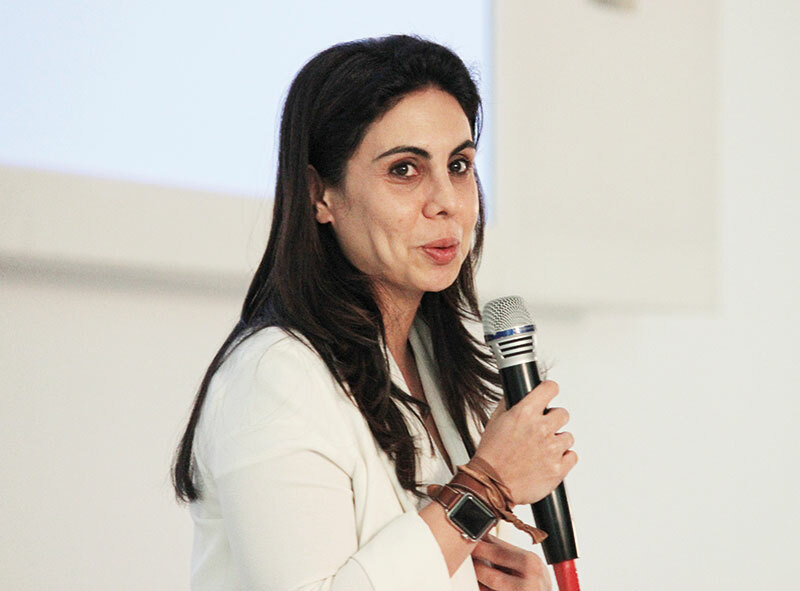 Just before the Diwali break, I was happy to collaborate with the United Nations for a very important global event at my Godrej headquarters in Mumbai. For the past two years, our team had been working alongside the wonderful UN team of Charles Radcliffe and Fabrice Houdart, for a build-up to this day. Charles is the chief of equality and non-discrimination at the office of the United Nations High Commissioner for Human Rights in New York, and also the director of the UN Free & Equal global multimedia campaign against homophobia and transphobia, that has reached an estimated two billion people till today. Fabrice works with Charles and, before joining the UN, spearheaded the production of a significant report at the World Bank that spoke of the economic cost of exclusion of LGBT individuals worldwide. The event was for the launch of the UN global corporate standards that have been formulated to help the business community tackle discrimination against lesbian, gay, bisexual, transgender and intersex (LGBTI) people. As someone who talks a lot on LGBTI issues in India and across the world, I have often been asked by well-meaning folks — what do I do if I want to support the cause? Well, the UN standards are now here and they outline very simply what to do. I am sure you, my dear Verve readers, have always wanted to do more — so just follow these standards that the UN team, along with the wonderful Salil Tripathi of the Institute for Human Rights and Business, has created. Now, while these standards are framed more from a business perspective because of their stated objectives, I am sure you can tweak these principles in your daily lives even if you don’t run a business, just while interacting with your LGBTI friends and colleagues. And, if you do run a business, then of course, follow these at once! They are rather simple. Respect the human rights of LGBTI workers, customers and members of the public. Eliminate workplace discrimination against LGBTI employees. Support LGBTI employees at work. Prevent discrimination and related abuses against LGBTI customers, suppliers and distributors — and insist that suppliers do the same. Stand up for the human rights of LGBTI people in the communities where companies do business. See? It’s not rocket science. Just standing up for what is right. Plus, it makes economic sense too. For instance, the 2015 World Bank study, which Fabrice produced and I referred to earlier, found that discrimination against India’s LGBT community cost our country up to 1.7 per cent in potential gross domestic product, the equivalent of 32 billion dollars that year! Not that you would need the financial argument, dear Verve readers. Basic decency should be enough to do the right thing, right? So last year, when we hosted the UN team for a consultation at Godrej along with others like goodwill ambassador Celina Jaitly, we promised that we would meet again in a year for the big release of the report. We lived up to the promise and created history. 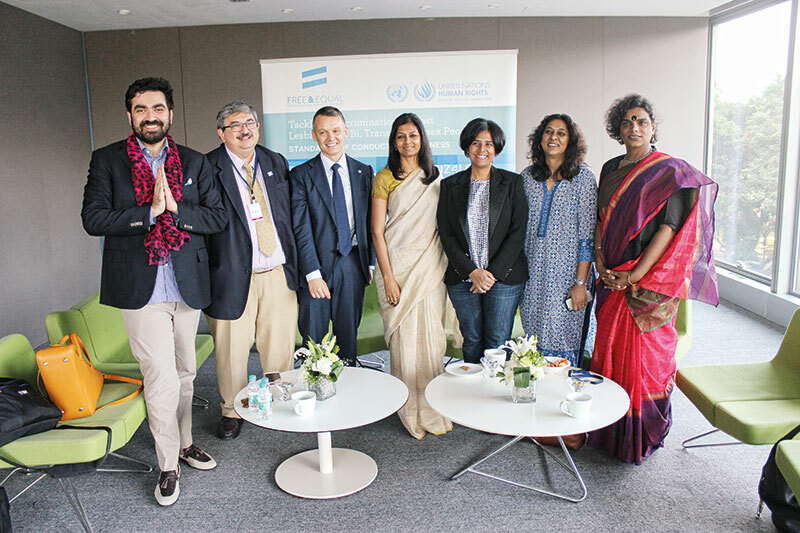 For the first time, there were about 100 business and HR leaders from leading companies like Hindustan Unilever, Procter & Gamble, Tata Sons, Accenture, SAP, Ikea, Intuit, Mahindra & Mahindra, Aditya Birla Group, Nomura, Adidas, Deutsche Bank, Marico and many others, all together in a room, asserting their support for LGBTI rights. Just think! These are the companies that are making the products and services, giving employment and changing the texture of how our country is going to live. They unequivocally said that LGBTI rights are human rights and that they are going to push for change. Now, does this mean that suddenly our outdated section 377 is going to go, all people are going to give up prejudice and everything will be rainbow-flag pretty? Certainly not! Even I, the prime cheerleader of unbridled optimism, am not so naive! But this is an important step. Indian businesses are finally standing up for equality, and just like in other parts of the world, when these links are built between different stakeholders in the human rights movements — like activists, citizens, businesses — the needle does shift. So I had a rather hopeful Diwali this year. Read the report on www.unfe.org — it comes accompanied with some great case studies of companies that have followed the UN standards with success all around the world. We also had a wonderful panel discussion at the report launch with Radhika Piramal, the only out lesbian corporate leader from our country, actor and film-maker Nandita Das, transgender activist Gauri Sawant, Meenakshi Ganguly from Human Rights Watch, our very own Nisaba Godrej, and Keshav Suri from the Lalit Group of Hotels. Keshav shared how he had recently spoken directly to the Prime Minister at a Niti Aayog event, asking him what the public and private sectors could do for the welfare of the LGBTI community. I was most touched that Farhan Akhtar took the time out to create a video message in which he spoke about why LGBTI rights are human rights and how the release of these UN LGBTI standards is such an important step. We love you, Farhan!